Daniel Avila/NYC Parks and Recreation Dept. 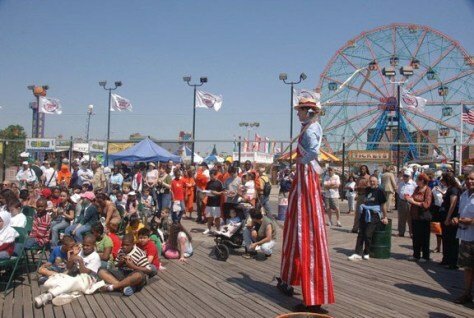 Coney Island boardwalk in Brooklyn, N.Y. is getting ready for a renaissance. Its amusement park, Luna Park, closed some 60 years ago, but reopens this summer with nearly 20 state-of-the-art rides.